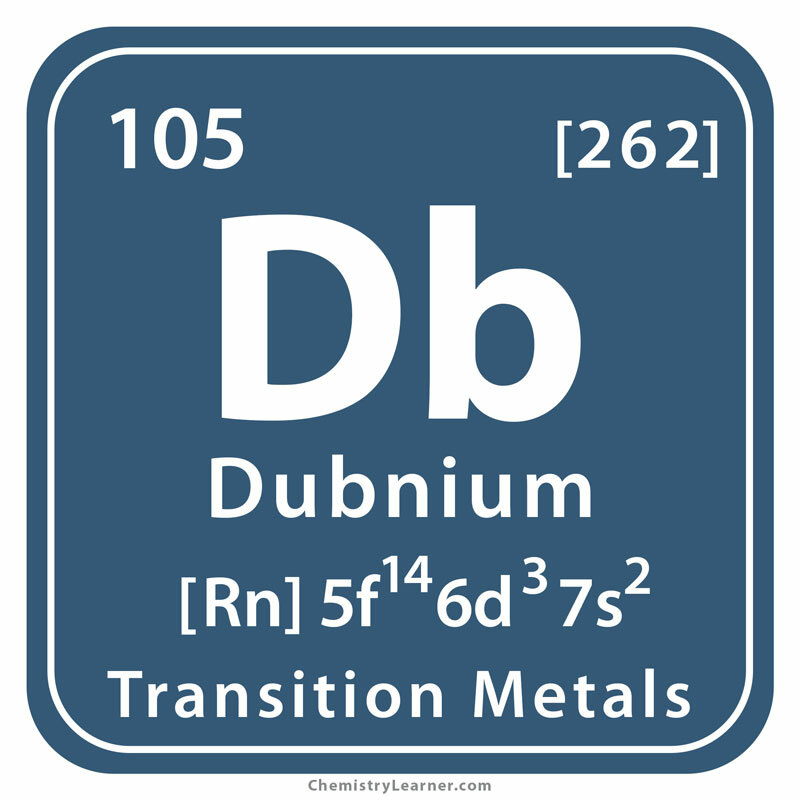 Dubnium (pronounced as DUB-nee-em) belongs to the family of transition metals and denoted by the chemical symbol Db. It has 12 isotopes out of which the most stable one is dubnium-268 with a half-life of 32 hours [1, 2, 3]. Origin of its Name: It is named after Dubna, a town in Russia . Who Discovered it: The name of its original discoverer is still under debate . In 1968, Flerov and his team at the Joint Insitute for Nuclear Research (JINR) in Russia produced an isotope of the new element by bombarding americium with neon. Again in 1970, californium was targeted against neon by Ghiorso and his team at the American Lawrence Berkeley Laboratory (LBL) to synthesize isotope-261 of the element. They also challenged the claim of Flerov. While the Russian scientists called it neilsbohrium, the Americans gave the name hahnium. 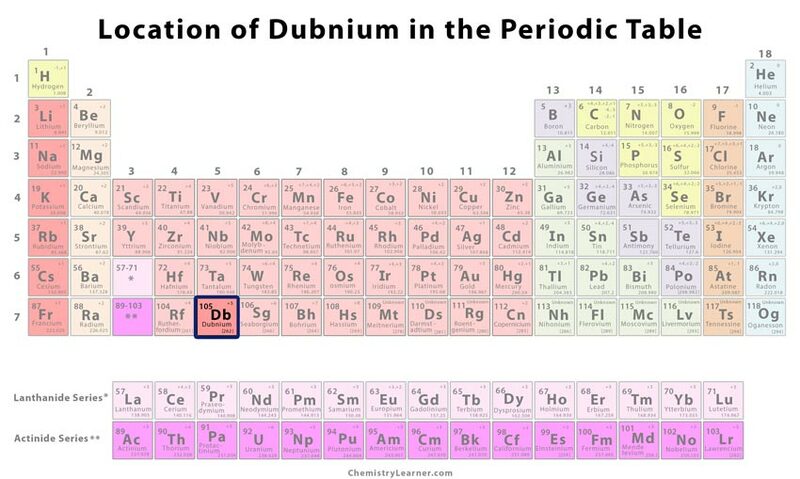 Finally, it was named dubnium by the International Union of Pure and Applied Chemistry (IUPAC) . 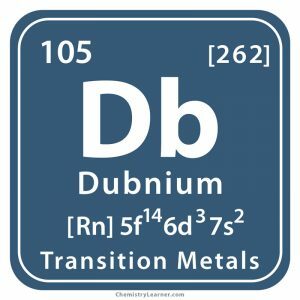 As dubnium is neither found free in the environment nor produced in higher amounts at the laboratory, it has no applications other than basic scientific studies . IUPAC had given the temporary name Unnilpentium to dubnium until the dispute regarding its original discovery was resolved . It is a super-heavy element that might have properties similar to tantalum . The limited production of the radioactive metal in the laboratory does not make it commercially available.